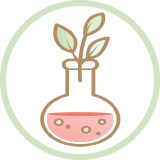 Natural Vanilla Flavor Essential Oil is rated 5.0 out of 5 by 1. Native to Central America, the vanilla vine has deep trumpet-shaped flowers. The spice's flavor comes from its pod. Vanilla is one of the most recognizable and favorite aromas in the world...and it's one of the most expensive. Due to its pleasant scent, it's no wonder that it's commonly featured in scented candles, soaps, diffusers and potpourri. Rated 5 out of 5 by ang123 from Wonderful oil! I have bought this product 3 times now, and I will never buy store bought vanilla "flavoring" or extract again. I know essential oils are better for you in general, and I feel much better about using this in place of vanilla extract. I will say that sometimes the oil is a little slow to come out, but once it gets going, it's fine.